The controversial city council proposals for a new suburb at Ardaun have again provoked serious concern regarding safety and suitability as the latest Public Consultation closes this Friday 20th October at 4pm. 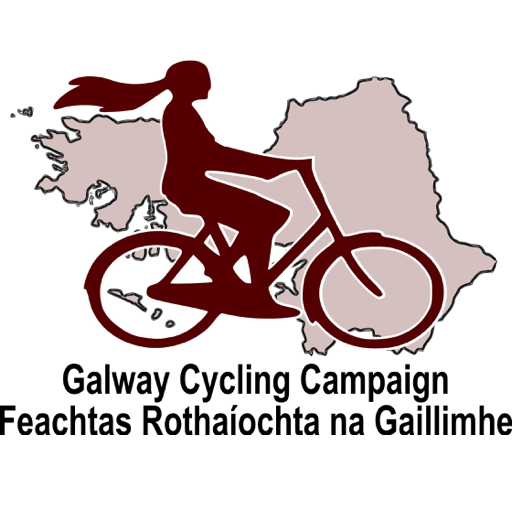 The Galway Cycling Campaign are again rejecting claims that the controversial site has good connectivity with the city. They are also rejecting claimed comparisons with urban villages like Salthill. City planner claims of a community that favours walking and cycling are being treated as unsupportable. According to the cyclists the proposed roads around the site remain of an unsuitable character. It seems the Martin Roundabout at the Galway Clinic is to be the main means of access to the site for cyclists and pedestrians. There is only reference in the draft plan to “investigating” removing the roundabout. There are no concrete proposals for foot/cycle bridges into the site across the dual carriageways that sever the site from Roscam and Doughiska. There is mention of a “public transport” bridge into the site from Doughiska but this is not stated as a prerequisite for the development. It seems to be mentioned as feature that might be delivered by the Galway Transport Strategy but is not a deliverable for the Ardaun Local area plan. Furthermore it is now clear that the public transport proposals have generated significant opposition in Doughiska. This makes it likely that the public transport bridge simply will not happen. The plans also show a “Primary Cycling / Pedestrian Network” joining the high speed Coolagh roundabout at the end of the M6/N6 at ground level. This “Primary Cycling / Pedestrian Network” then crosses into Ardaun by crossing the slip road onto the southbound dual carriageway. Since the 1980s Irish guidance has raised serious reservation about using roundabouts at locations where cyclists are expected due to the high collision risk. The 2009 National Cycle Policy Framework defines roundabouts as a matter needing remedial action if more cycling is to be encouraged. Overall the cycling campaigns analysis is that this plan represents more “planned car dependency” for Galway that will put more unnecessary car journeys into a location near Parkmore already noted for traffic problems. Download the Irish version here. We will carry out remedial measures on existing cyclist-unfriendly urban roads with a special focus on roundabouts, multi-lane oneway streets and road narrowing schemes. Without addressing the difficulties posed by high capacity, high speed roundabouts in urban locations – and particularly those between residential areas and schools – it will be very difficult to encourage more of the public to cycle. R.286 Design and Use of Roundabouts in Ireland, An Foras Forbatha, 1987. This has been the standard text Irish on such matters for the last 16 years. In this document the most relevant study is one that takes an in depth look at traffic accidents on the roundabouts on the Swords bypass in Dublin. A particular finding was that the accident rate for the two-wheelers was five (x5) times higher than they were expecting.